At the closing ceremony of the 2016 Olympic games, the flat-out crazy montage for 2020 Tokyo games led to a flurry of predictable dad jokes on Twitter. The montage was heavy on Super Mario Brothers references — very heavy. 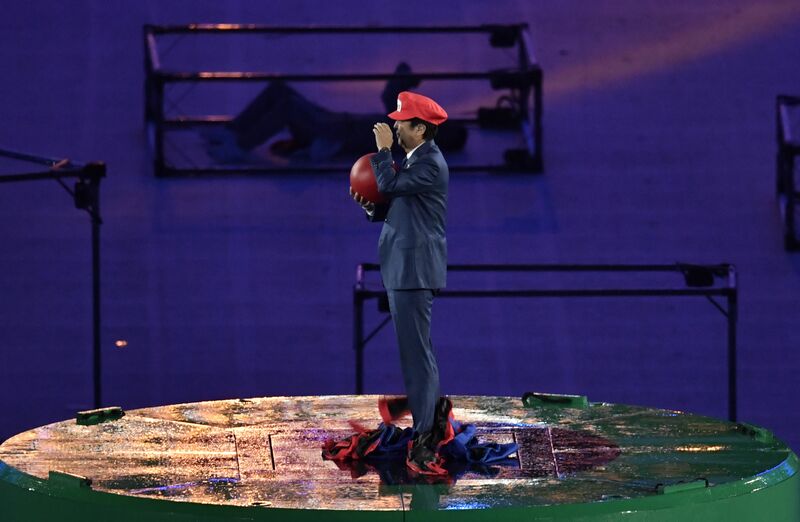 Among other things, it depicted Japanese Prime Minister Shinzo Abe becoming Mario himself (that wasn't a typo), jumping into one of those famous green pipes from the games and transporting himself to Rio. Perhaps unsurprisingly, the absolutely bonkers, Mario-centric montage resulted in many, many people on Twitter joking that Mario Kart should be an event at the 2020 games. It's tradition during the closing ceremonies of the Olympics to show a teaser of sorts for the games that'll take place four years later, and Tokyo will be the site of the 2020 games. It's not surprising that the montage was heavy on Mario references, given that the iconic video game character is one of the country's most famous pop culture exports. Here's the video itself, in case you missed it. And here are a couple of the jokes people made after it aired. Or, to be more precise, here are several variations of the same joke that everybody made after it aired. And so on. It may not be the most original joke, but on the other hand, let's be honest here — an actual Mario Kart-inspired event at the 2020 games, one that featured real-life cars racing around a sparkly rainbow course while launching turtle shells at each other, would certainly blow every other Olympic sport out of the water. Judging by the earliest reactions on Twitter, the Tokyo montage appears to have accomplished its goal of getting viewers pumped up about the 2020 games. Of course, the Tokyo teaser also set an expectation. There will be widespread disappointment in four years if the opening ceremony of the 2020 games doesn't prominently feature Mario. But really, after a montage like the one we saw in Rio, the chances of that are pretty slim.